A big thank you to everyone who stopped by our table on Friday (and I really hope my voice wasn’t too crokey! Getting over a cold…) The place was really busy and certainly the busiest I’ve seen on a Friday. 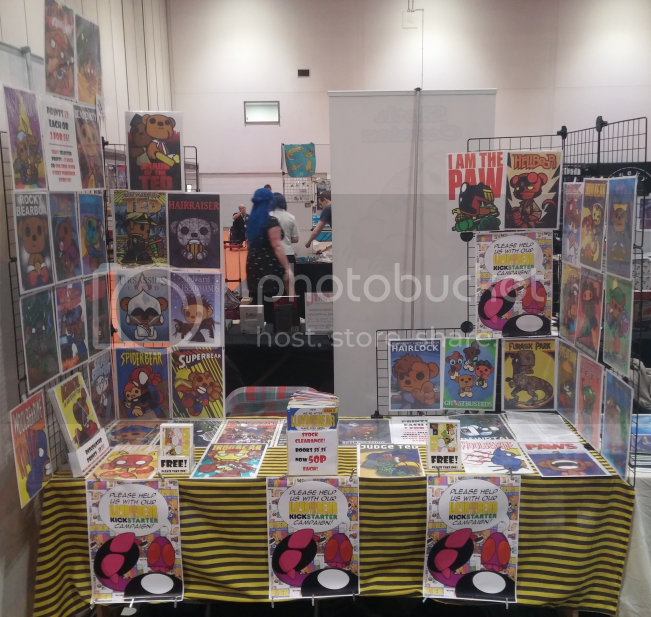 Also, how awesome was the Comic Village?!? Very few tables were left empty which was great! I genuinely thought it was Saturday by the end of the day! So if it’s your first time here on the site then thanks for dropping by! We’ve loads of things to check out with the extras, free issue #1, links to stores and (most importantly) our Kickstarter campaign! Please click on the link or either of the buttons at the top of the screen to check out our Kickstarter and what rewards are available! Hope you like it! Bear hugs!